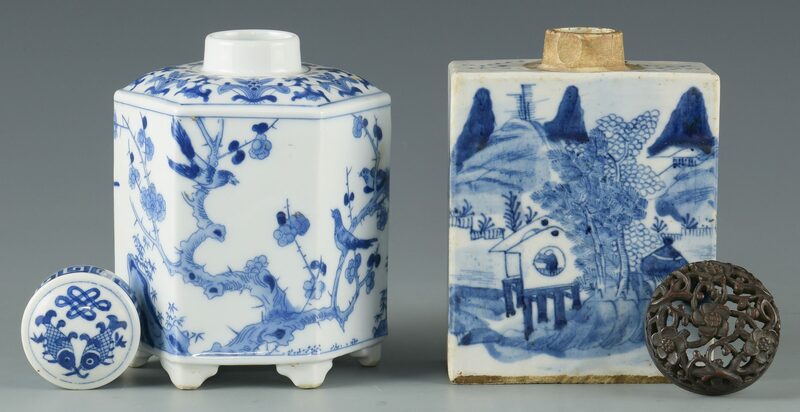 1st item: Chinese blue and white hexagonal porcelain tea caddy with decoration of bird amongst flowering branches. 6 1/2" H. 20th century. 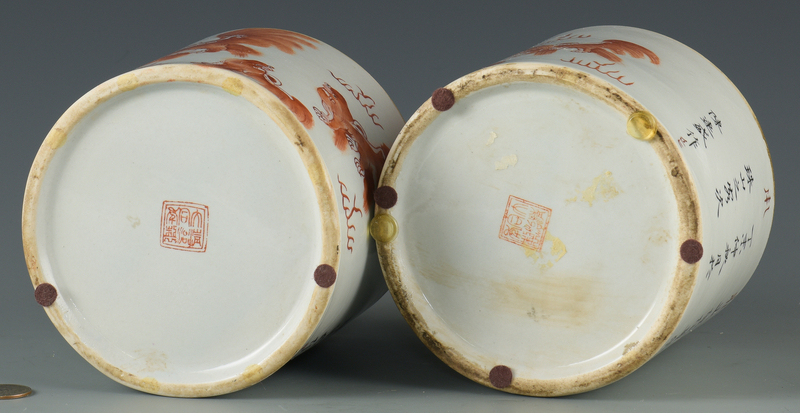 2nd item: Chinese Export porcelain tea caddy, squared form with Chinese character inscription to one side. Carved and pierced hardwood top. 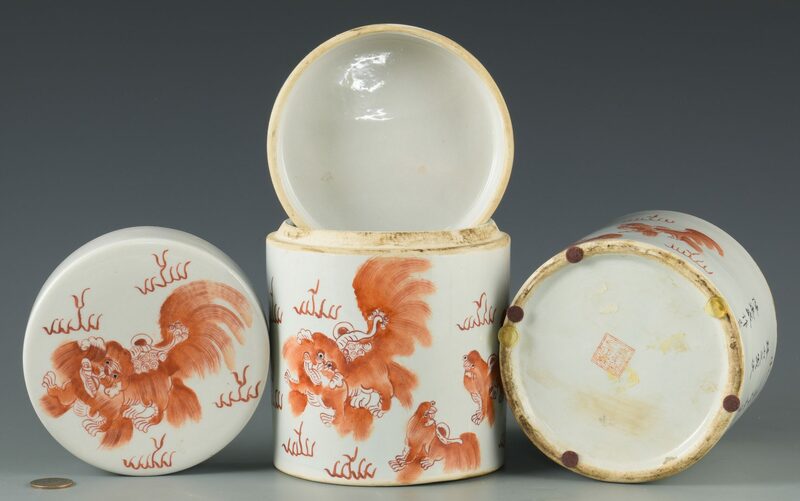 6" H. Late 19th/early 20th century. 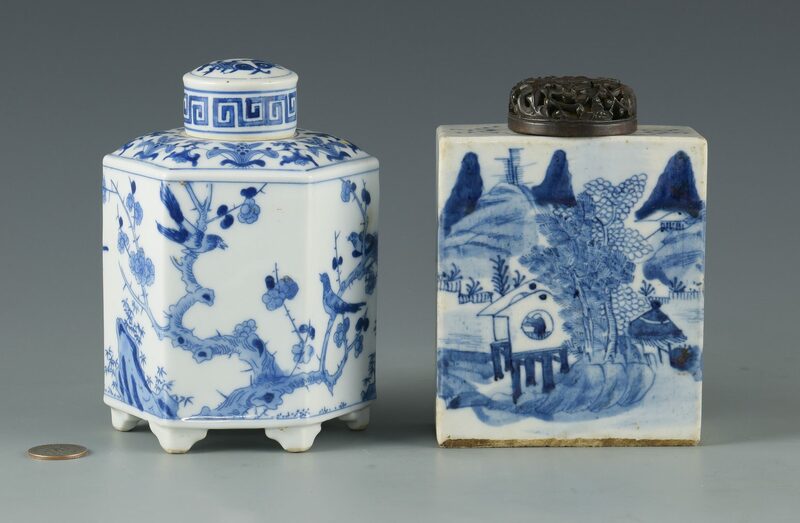 3rd & 4th items: Pair of Chinese porcelain covered jars, cylindrical form, with iron red foo dog decoration and calligraphy. 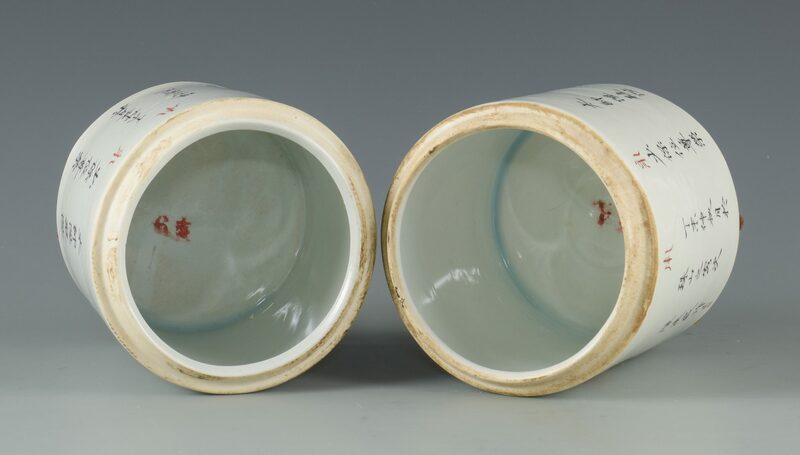 Bases with iron red seal marks. 6 7/8" H. 20th century. Provenance: Private Knoxville, TN collection. CONDITION: 1st-2nd items: Overall excellent condition. 3rd item: Overall very good condition.